This is one of the issues that affects Asia and Africa because many anthropogenic factors cause serious phenomena such as deforestation, soil erosion etc. 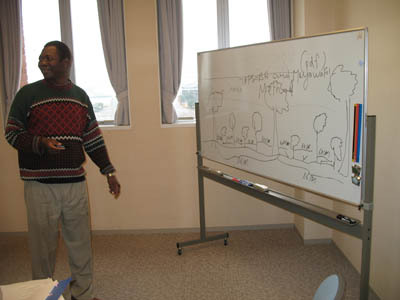 For the resolution to this issue, it is important to: 1) formulate and implement an appropriate action plan for sustainable management of lands and natural resources, 2) promote the knowledge and techniques of land rehabilitation to those who use lands such as farmers, local communities, etc. This issue does not only affect the local community but also extends globally because the rehabilitation of degraded lands contributes to the prevention against natural disasters, poverty among local villagers and also the global warming. 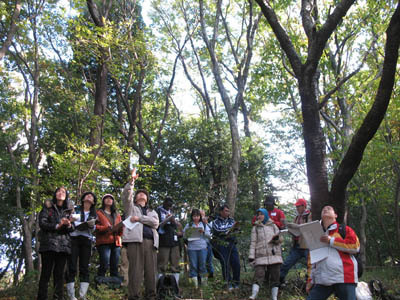 IGES-JISE is an implementing partner of JICA region focused training program entitled "Rehabilitation of Degraded Lands in Asia and Africa." 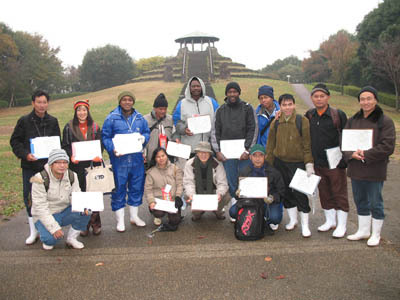 This course program aims to encourage hands-on activities promoted by participants in JICA training programs by giving them technical support and advices so that their activities based on their draft action plans can be fruitful and sustainable and should be adaptive through self-reliance. 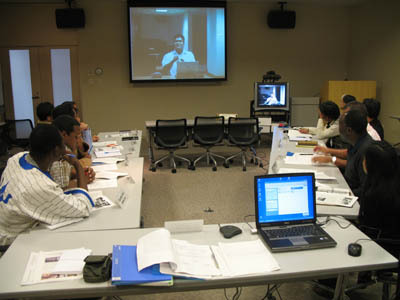 What follows is a more detailed information regarding the training course. Eligible/Target Organization: Ministry of Agriculture and Forestry, Universities etc. 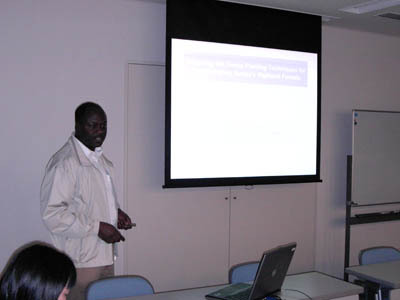 3) to make draft action plans that identify their major responsibility and schemes for the projects. 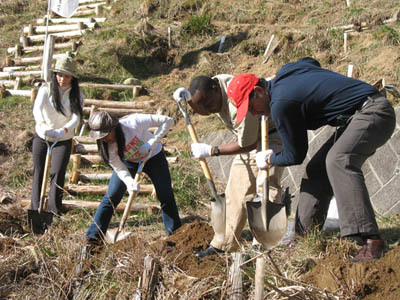 3) to promote hands-on activities toward land rehabilitation. 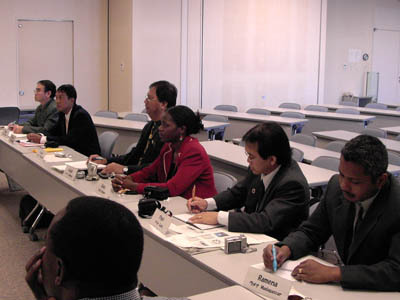 This proposal is intended to JICA and their participants of the training programs who are engaged in land rehabilitation planning and implementation at a local government level, especially in a community which belong to organizations such as Forestry Agency/Ministry of Agriculture and Forestry, Land Use Planning Agency, and Universities. 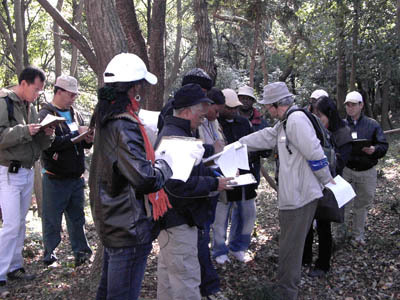 Participants shall have an opportunity to get knowledge and advice on vegetation ecology and its application to land rehabilitation through lectures, seminars, workshops, collaborative research and field work with Japanese experts on site. 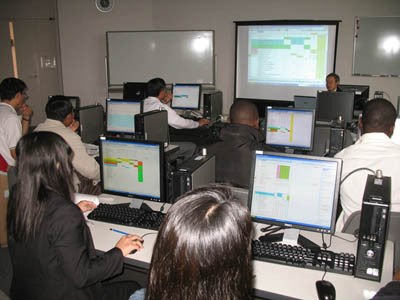 Participants are going to formulate their action plans taking into consideration that they must promote hands-on activities based on their knowledge and skill. Vegetation ecological survey based on phytosociology (Braun-Blanquet, 1964) will be conducted by Japanese experts and some of the local stakeholders for identification of useful applicable native vegetation to the environmental protection and estimation of potential natural vegetation (Tuxen, 1956). 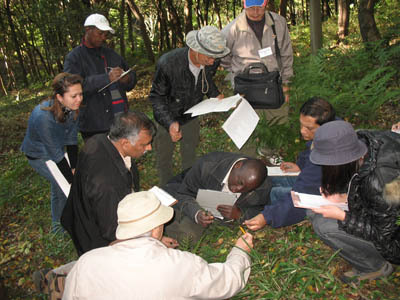 The ethnobiological survey will be conducted by Japanese experts and the local stakeholders for finding applicable native species to land rehabilitation that will best match the ecological requirements and social needs. This will contribute to making win-win proposals between environmental protection and natural resource management among local stakeholders under long-term planning. 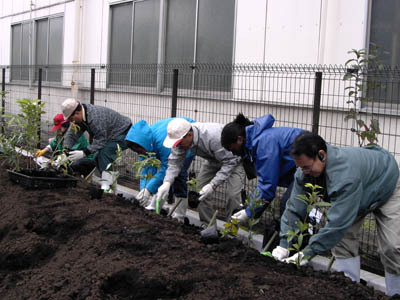 The tree planting exercise will be implemented by Japanese experts and the local stakeholders to deepen the participant's understanding of the specific unique planting technique in Japan. Some native species will be focused on because they are thought to be one of the useful native species of potential natural vegetation there. 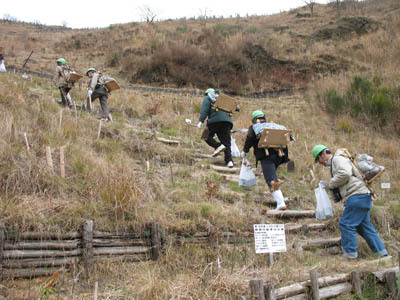 However, it may be prohibited for the local villagers to cut/use it, because it grows inside the protected areas. This program focuses on the possibility of applying native trees for fuelwood/charcoal to creating the multi-layered forests as an ecological target. According to the two methods mentioned previously, useful applicable native vegetation/species will be identified and listed as draft inventory for nurseries. Feasibility study on the implementation of the preparation for experimental rehabilitation sites and seedlings will be conducted. 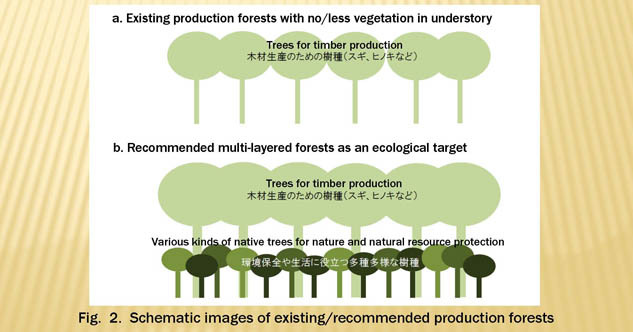 The production forests should be tolerant against natural disasters and human disturbance. 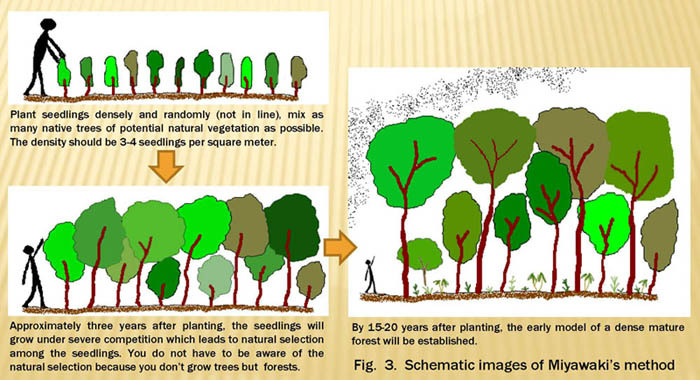 The existing forest that has non or has less vegetation in understory will contribute to severe soil erosion (see Fig. 2-a below). 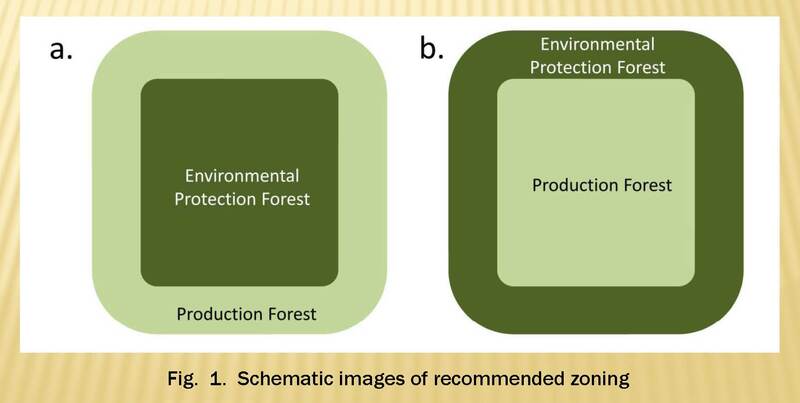 This proposed program focuses on multi-layered forests with various kinds of native plant species as an ecological target (see Fig. 2-b below). WHAT SHOULD WE DO TO SOLVE THESE ISSUES? 1) What types of vegetation do we have in our respective countries? 2) What benefits can we get from each type of vegetation? 3) What types of vegetation can grow on the lands? 4) What types of vegetation do local people want? 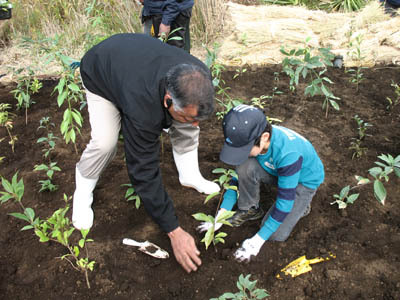 5) What types of vegetation should we grow on the lands? 6) Where should we rehabilitate? 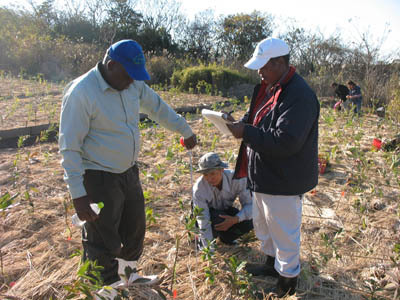 7) How fast can we rehabilitate a degraded forest? A specific unique technique in ecology-based reforestation (i.e. 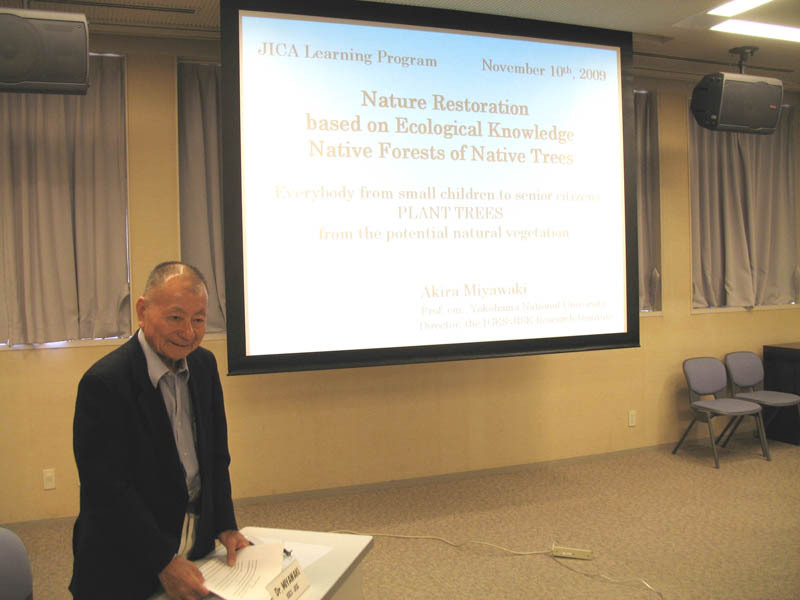 Miyawaki ’s method) (Miyawaki et al., 1993) is going to be applied to this program towards early growth of dense mature forests. The scheme of the future experimental projects will be discussed and formulated with stakeholders taking into account not only the ecological aspects but also the socio-economic aspects. This program focuses on the possibility of creating technical options for forest/vegetation management in collaboration with local stakeholders. First of all, I would like to express my gratitude to all the lecturers: Dr. Akira MIYAWAKI, Dr. Shigetoshi OKUDA, Dr. Kazue FUJIWARA, Dr. Kei-ichi ONO, Dr. Yukira MOCHIDA, Dr. Yuhide MURAKAMI, Dr. Shin-ichi SUZUKI, Dr. Shin-ichi MEGURO, Mr. Hisanori HAYASHI, Dr. Kimihiko HYAKUMURA, Dr. Henry SCHEYVENS, Dr. Yosei OIKAWA, Dr. Katsuhiro ONO, Mr. Yoshio TAKAHASHI, Mr. Takahumi IDENAWA, Mr. Yoshitake TAKANO, Dr. Naoto HOSHI, Ms. Ayako ISHIMURA, and Mr. Takuya FURUKAWA for their cooperation. I would also like to acknowledge all the staff who have labored for this program: Mr. Naoto FURUKAWA, Ms. Yoshie ONODERA, Ms. Ako MUTO, Ms. Hiromi SHINOZAKI, and Mr. Makoto NIKKAWA. Finally, my deepest gratitude to all the participants from Asia and Africa for their active participation in the training course.